Century Motorsport headed to the Dubai Autodrome for the fourth year running to enter the prestigious Dubai 24H race. After confidently leading the GT4 class for several stints during the race this year in both cars, Century Motorsport eventually came away with a fourth and seventh place finish. 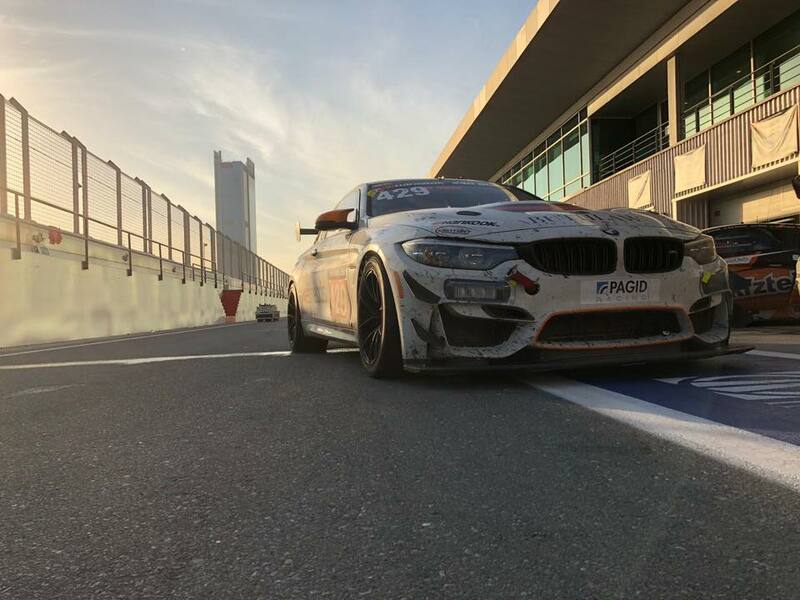 At the end of November, Century Motorsport waved goodbye to both of their BMW M4 GT4s as they were sent off in a container to be shipped over to Dubai. 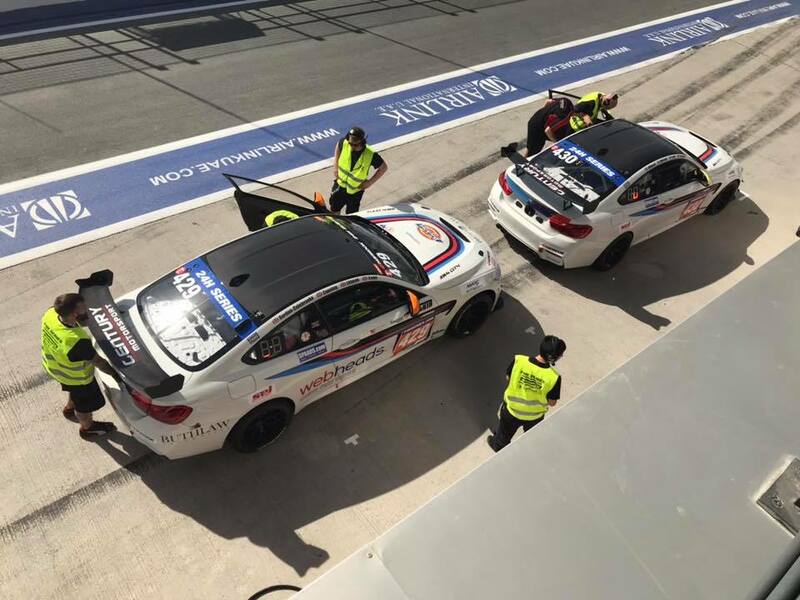 The mighty pair of BMWs helped the team to achieve plenty of success in 2018 including: British GT4 2018 Teams’ title, British GT4 2018 Driver’s title (Jack Mitchell) in the one car, with the sister-BMW finishing just one point behind. Century Motorsport had two strong driver line-ups for the Dubai 24H: Car #429 was shared by Nathan Freke, JM Littman, Tom Canning and Andrew Gordon-Colebrooke; Car #430 was shared by Jack Mitchell, Adrian Willmott, Mark Farmer and Dominic Paul. The Dubai 24H qualifying session got underway on Thursday at 16:15 local time in the sweltering heat. The team nominated Freke, Team Owner, who has competed in the Dubai 24H for the past three years, to complete the qualifying for car #429 and Mitchell, British GT4 Champion and China GT Champion 2018, to complete the qualifying for car #430. The lap times were all very close and the pair qualified in fifth and ninth respectively with swift times of 2m09.453s and 2m09.946s. On Friday, the crowds filled the start grid at 13:45 local time. The green flag was waved at 15:00 to commence 24-hours of racing and action in the dry desert heat. Littman, who has plenty of experience in 24-hour endurance racing, completed the first stint for car #429 and after initially dropping down the order; he fought his way back up to fifth place. Mitchell set the pace in #430 with an astonishing opening stint, grabbing the lead part way through, after starting from ninth on the grid. Canning, youngest driver in the team and having never raced in the dark before, switched places with Littman in car #429 as the darkness was drawing in and Farmer, who raced with Century Motorsport at the Dubai 24H in 2018, switched with Mitchell. Both drove very well in difficult conditions, with a low-setting sun impairing their vision. By the 4-hour mark, car #429 was in sixth place with car #430 close behind in seventh. The sight of the dazzling headlights meant that night-time racing was now well and truly underway. 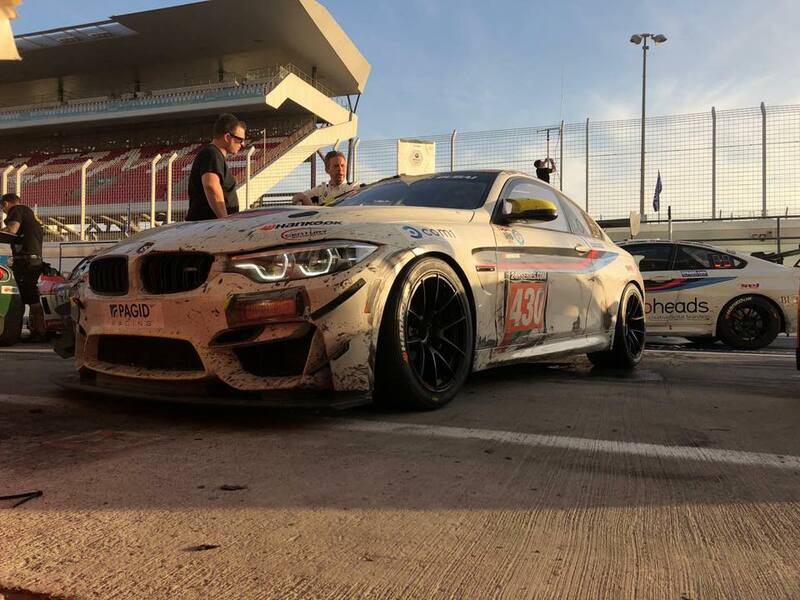 Gordon-Colebrooke, who has raced at the Dubai Autodrome for the 24-hour race on a few previous occasions, went out next in #429 and Paul, teammate of Freke and Farmer in last year’s Dubai 24H, went out in car #430. Both drivers put in very good stints and by the 6-hour mark, car #429 was up to third place and #430 had moved up to sixth place. Willmott, returning to GT racing after a few years of racing classics, headed out next for his first stint in #430 and by the eighth hour, he was still strongly defending sixth place. Freke headed out for his first stint. He put in some excellent laps on the 5.39km track and claimed the lead for car #429, controlling the GT4 race for a good while until an unfortunate hub issue caused the car to stop on track, costing the team a possible race victory. The car was transported back to the garage and the team worked as quickly and efficiently as they could to ensure that the car got back out as soon as possible. Despite the mechanics’ incredible performance, car #429 slotted back into the race in 12th place and the goal of the drivers now was to try and make up as many places as they possibly could in the time remaining. 10 hours into the race, car #430 was still in a steady sixth place and only a few laps behind the leader. By the 14th hour, car #429 had found its way back into the top 10 and just four hours later, some very determined racing helped them to gain another two positions. By the 20th hour, car #430 had made its way into the top five. With just over one hour to go of the twice around the clock event, excitement and tension filled the Century Motorsport garage as car #430 was now in reach of a podium finish, finding third place due to the GT4 leader coming into the pits with an issue causing them to drop down the order. It was time for a driver change at this crucial point in the race and Mitchell took over Farmer for the final nail-biting hour of the race. Returning to the race in fifth place, Mitchell had a lot of work to do in his final short stint to achieve the podium finish that was in sight. Unfortunately, Mitchell ran out of laps and despite finding fourth place, he was unable to catch third before the chequered flag. Car #429 was promoted to seventh place after the earlier leader spent the remainder of the race in the pits. The GT4 class is a very tough and extremely competitive class and the fact that both Century Motorsport cars were leading the class for a significant amount of time during the race, is an incredible achievement. Apart from 40-minutes in the pits with car #429, both cars circulated without any issues and that is a testament to the car and the team. Only 45 of the original 74 cars on the grid actually finished the race. The team will be returning to the Dubai 24H in 2020 for the fifth year running with a goal of emulating the success of their debut year where they claimed class victory.